The goal of this showcase is to demonstrate how organizations can take quick decisions based on data by leveraging drill down, role based security, custom visual capabilities of Power BI. 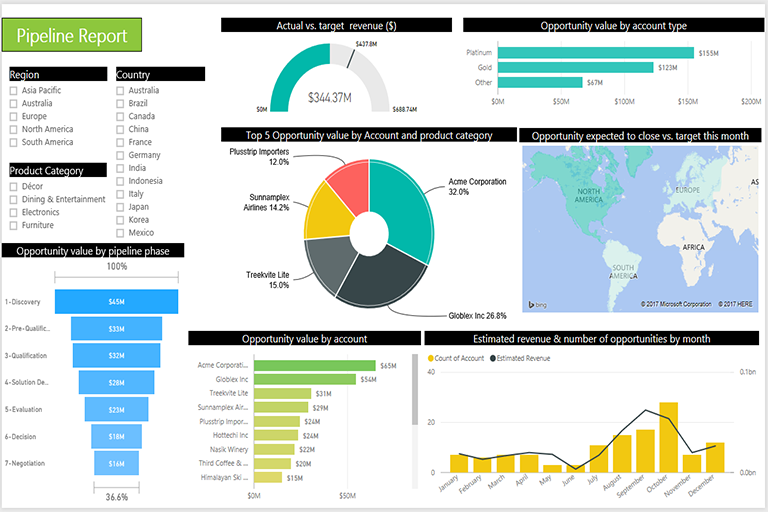 The showcase demonstrates the power of Power BI in Sales management scenario. The goal of this showcase is to demonstrate how organizations can take quick decisions based on data by leveraging drill down, role based security, custom visual capabilities of Power BI. 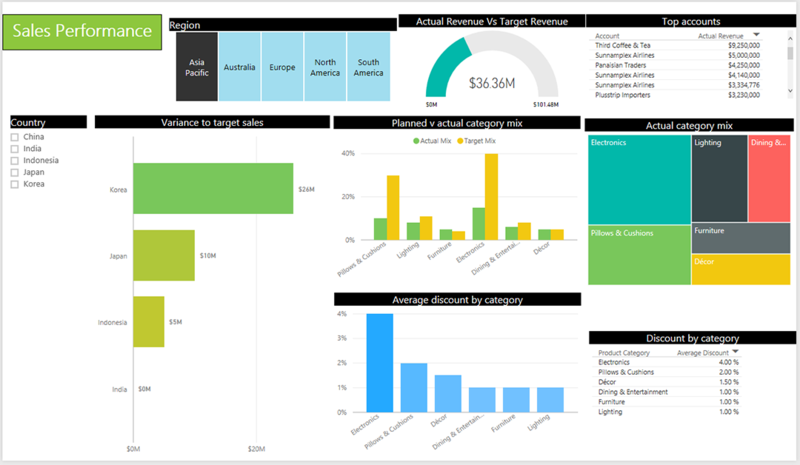 The showcase demonstrates the power of Power BI in Sales management scenario. By employing role-based security, the level of visibility of charts and its data is controlled by user’s role in the organization namely: Analyst, Regional Manager and Executive. With the help of the above features, the dashboard helps an organization to analyze the following scenarios: Pipeline reports, Sales Performance, Quota, Trends and Revenue Summary. 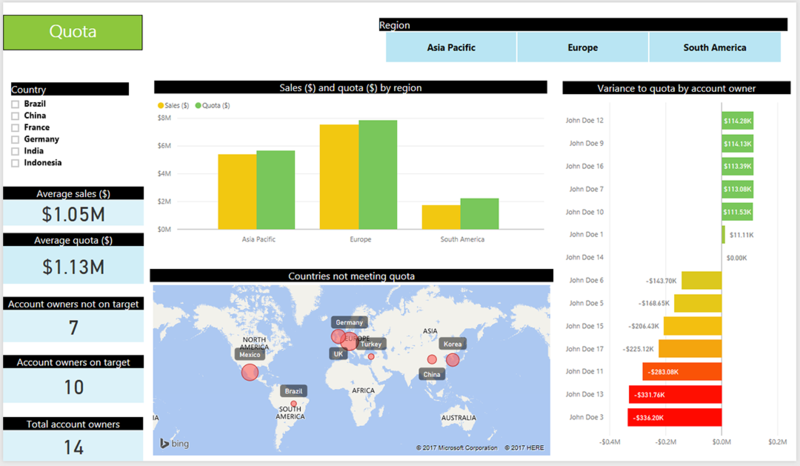 The Sales Management Analytics dashboard on this website utilizes the embedded capabilities of Power BI. 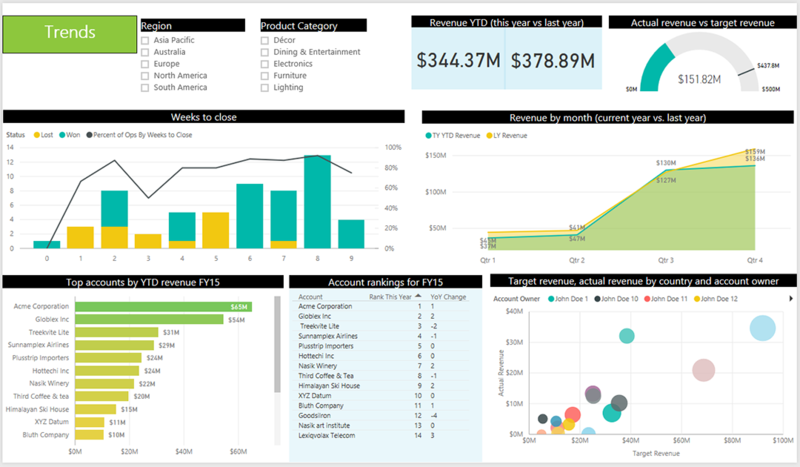 Power BI Embedded helps to easily embed stunning, fully interactive reports right into web or mobile applications. 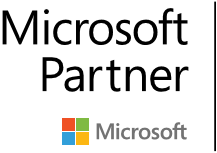 This capability allows companies to share the Power BI dashboard with their customers and external partners. · The pipeline report helps sales analysts focus on impactful insights such as strategy, development and planning. The information provided in the report benefits sales department manage sales funnel of opportunities or velocity by stage of sales cycle. · In this report, the 3 dimensions of drill-down feature are demonstrated, namely: Time-based, Location based and Product based. The time and location based drill down capabilities is integral to Power BI platform. The product based drill down capability is dictated by hierarchy of data defined in the data model. The chart “Top 5 Opportunity value by account and product category” uses more compelling way to communicate the data to audience by incorporating custom visuals to represent the data and focus on top customers. The entire report is tied to the type of user and role. Since role-based security is enabled, the level of visibility changes for an Analyst, Regional Manager and Executive. · Sales performance report provides an increased visibility and operational insight into sales actuals, variances, and forecasts. Sales performance across various regions and countries can be viewed. · Drill down feature is also used here for the chart “Average discount by category” where data can be drilled up or down based on the product category and employee. The cards actual margin % and target margin %, Variance to Target Sales chart shows countries that perform well and countries that have a low variance. The other charts provide data to view actuals vs. plan across country, product line, channel, customer segment in a single view. · Quota report focuses on information to view quotas, market size, opportunities, and demographics to discover more insights and make more informed decisions. · Drill down feature and Role-based security are implemented in this report. The cards on the report show Total account owners, Account owners on target, Account owners not on target, Average quota ($) and Average sales ($) which help get a better understanding of the team’s performance. Other charts provide data such as: Sales vs Quota, Variance to quota by account owner and a map chart that shows countries not meeting the quota. · Trends report targets to improve forecasting quality & move from hindsight to insight, to improve visibility across the team to validate sales KPIs and trends and the underlying story. · With Power BI, the team could stay on top of change, find out how efficient the team performs. The cards show values of revenue for current year vs last year, the other charts depict weeks to close which is how long it takes for an opportunity to close, revenue by month, top rankings and accounts and target revenue by country and account owner. · The revenue summary helps track key metrics for planning based on revenue by top products, account types, account owners and date.